The international market for furfural derivatives is marked with the presence of numerous industrial market giants and is expected to experience the rise in both small and large enterprises. 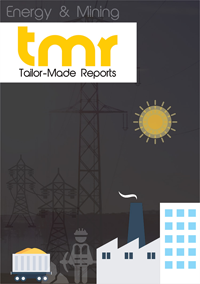 Transparency Market Research (TMR) has very recently come up with a market intelligence report that distinguishes the market with the presence of several names like DynaChem Inc., Avantium, Ashland Inc., Mitsubushi Chemical, and Hongye Chemical Co Ltd. The said market is estimated to experience a high level of market competition that forces the market participants to strategize in such a way that positive market influence is generated. The said market players are predicted to provide the consumers with highly competitive prices that could result in mergers and partnerships amongst various companies that are operating in the said market. The latest advancements in synthetically produced material, like ethanol that are also cost effective in comparison to furfural derivatives. This might result in market participants encouragingly taking part in acquisitions and mergers. The report that has been published by TMR report estimates that the furfural derivatives market across the globe to register a steady CAGR over the period of forecast that extends from the year 2016 to 2024. With a CAGR of around 3.98% so far as value is concerned, the region of Asia Pacific is estimated to be the leading region of the said market, due to the region being the main consumer as well as producer of furfural derivatives. Furfural refers to a natural derivative of waste products and agricultural produce like wheat bran, corn cobs, sawdust and oat. Going by the texture, furfural is a colorless, slick fluid. So far as the segment of end-product businesses are concerned, furfural derivative is used, the market intelligence report on furfural derivatives are to be utilized as a part of the sector of chemicals, the food and beverage segment, the business of pharmaceuticals, and many others like agents of beautification, household products, and perfume industry. In the recent years, the erratic nature of the said market and generation of diminished revenue from the sale of chemicals have compelled manufacturers to look for reasonable alternatives. In the light of this, the international market for furfural derivatives is estimated to have high potential being that substitute. The rise in the need for goods that has been made from green and biodegradable sources as well as the increased usage of the derivatives in the industry of food and beverage might result in significant growth of the market. Asia Pacific is the main consumer and producer of furfuryl alcohol and, as such, accounted for the major share in the world market for furfural derivatives in the year 2015. India and China are the leading consumer markets for furfuryl alcohol. The progress of numerous end-use industries, comprising paints and coatings, resins, pharmaceuticals, agriculture, and chemicals is also steering the market for furfural derivatives towards growth in the region of Asia Pacific. Technological advancements have further made the process of production much better and that has been instrumental in the creation of innovative products from various renewable agricultural biomasses. This has resulted in a major impact on the progress of the market for furfural derivatives in the region of Asia Pacific. The region is prognosticated to rise at a CAGR of around 2.93% from the period of forecast that extends from the year 2016 to the year 2024. Europe also holds substantial share in the world market for furfural derivatives and follows the region of Asia Pacific when it comes to consumption. The burgeoning number of application areas for the products of furfural derivatives and furfural alcohol basically steers the European market. The market for furfuryl alcohol in the region of North America is anticipated to decline over the period of forecast due to the existence of various substitutes. Mitsubishi Chemical, Penn A Kem LLC, Hongye Chemical Co. Ltd., BASF SE, Ashland, Inc., DynaChem Inc., Sinochem Qingdao Co. Ltd, Nova Molecular Technologies, and Avantium, Corbion NV are some of the names that comprise the said market.